there's no denying it, i'm a sucker for bob dylan. my brother read a portion of dylan's "wedding song" during our nuptials & i loved it. this morning i was listening to his song "make you feel my love" and thought it would be a great choice for a reading or, better yet, a first dance song. adele does a beautiful version of dylan's "make you feel my love," hear for yourself. You ain't seen nothin' like me yet. 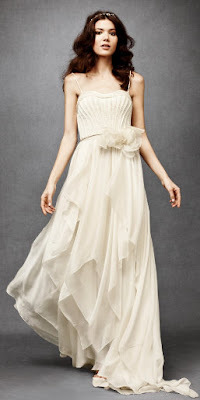 wedding gowns at anthropologie: start shopping! the time has come! as mentioned earlier this month, anthropologie has officially started carrying wedding gowns! check out the amazing collection, which includes bridesmaid dresses, shoes jewelry & more, at bhldn & start shopping. it's a couple years too late for me, but i'm loving a few of the shorter white dresses for a fun summer gathering or special occasion. enjoy! exciting news for all you brides! anthropologie is about to enter the wonderful world of weddings! 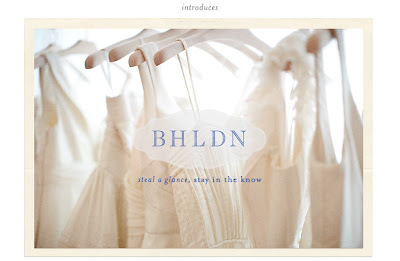 beginning february 14th, anthropologie will unveil their line of wedding gowns and bridesmaid dresses. it's safe to say they are going to be absolutely gorg and affordable! go here to be the first in the know when the gorgeous gowns make their debut.